Source Technologies STI-204063H Black MICR Toner compatible with the Source Technologies ST9530. The use of compatible supplies does not void your printer warranty. Source Technologies STI-204501 Black MICR Toner compatible with the Source Technologies ST9216. The use of compatible supplies does not void your printer warranty. Premium Quality E260X22G Drum Photoconductor Kit compatible with the Lexmark E260, E260D, E260DN, E360, E360DN, E460, E460DN, E460DW, E462, E462DTN. The use of compatible supplies does not void your printer warranty. 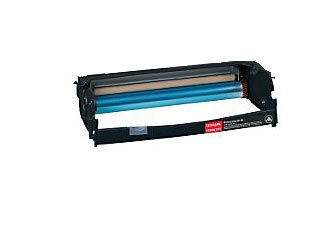 Premium Quality STI-204060 Black MICR Toner Cartridge compatible with the Source Technologies ST 9325. The use of compatible supplies does not void your printer warranty. Premium Quality STI-204061 Black MICR Toner Cartridge compatible with the Source Technologies ST 9335, 9340, T630, T632, T634. The use of compatible supplies does not void your printer warranty. Premium Quality STI-204063 Black MICR Toner Cartridge compatible with the Source Technologies ST9530, ST9550, T640, T642, T644. The use of compatible supplies does not void your printer warranty.